Albany City Attorney Jim Delapoer is pursuing the case at his own expense. An administrative law judge for the state Elections Division has upheld — big surprise! — the agency’s $75 fine against Albany City Manager Wes Hare for reminding voters last fall that an election was taking place. Now it’s up to the Oregon appellate courts to strike a blow for free speech, but also for common sense. In case you are new to this case, Hare issued a press release last fall while the $20.3 million bond election for new police and fire stations was going on. The statement reported on a council action related to those projects. At the end, it reminded readers that the election would end Nov. 5. Citizen activist Gordon Shadle complained to the state that Hare’s statement violated election law because it did not meet one specific requirement in a manual issued by the secretary of state. (Correction: He says he complained about the statement as a whole as being not impartial). The manual says any statement by public employees on public time about tax -measure elections must include the estimated tax rate per thousand dollars of assessed value. The Elections Division agreed with Shadle’s complaint. 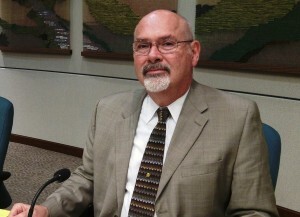 City Attorney Jim Delapoer challenged the fine and raised several legal issues in addition to the main one, that it violated Hare’s free-speech rights. Administrative Law Judge Alison Greene Webster, in her ruling mailed May 29, ruled against him on all fronts. But the main issue gets short shrift in her 16-ruling. The big point issue is this: State law properly prohibits public employees from using public money or work hours to promote or oppose ballot measures or candidacies. Hare’s press release did nothing that the law prohibits. It did not promote the ballot measure. It was perfectly neutral. The only reason for complaint was that the manual, an administrative rule, required the tax rate to be mentioned, and it was not. So the question is whether a state agency should be allowed to go beyond the plain language of the law in setting up requirements, and then fine public employees when they breach those add-on rules. Under those rules, it is not enough to be impartial or neutral. In order to avoid fines, public employees also must memorize a manual before they can help citizens with election-related information. The requirement for stating the tax rate is particularly pointless. Anybody reminded of an election and then turning to his ballot would read tax information on the ballot itself. So what’s the point in the manual’s rule? To sum it up: The manual goes beyond the law and sets up an unnecessary requirement that, in this case, has led to an accusation of law-breaking against a conscientious public officer. This accusation and others like it have the effect of making officials hesitant to give information that voters should have. And this violates not only the officials’ right of free speech and their duty to inform the public but also the right of citizens to get ballot-related information from officials who have it. No surprise here at all. On the merits, the case was a no-brainer. When a city employee communicates the gain associated with a bond measure (new buildings), that employee must also communicate the pain (the tax). Hare didn’t do this and got caught. And one point of clarification. My complaint to the Elections Division was silent in regards to “one specific requirement in a manual issued by the secretary of state.” My complaint was broader in scope and didn’t even mention the manual’s requirement. Finally, I don’t perceive myself as a “citizen activist” and neither should you. Activism implies organization and ideology. Neither applies to me. I’m simply an Albany resident who pays a little attention to what happens at city hall and is unafraid to speak out. And my recollection, Gordon, is that the Secretary of State’s office rejected all your claims In their opinion. This one at issue was found by a State staffer. Your recollection is wrong. The SoS issued their notice to Hare on Feb 19, 2014. No rejection, only validation from the SoS that Hare violated the law. Now the ALJ has validated my contention and the SoS notice. And the next validation will come from the Oregon Court of Appeals. You submitted a complaint listing several items. None were upheld. You wrote “…the agency’s $75 fine against Albany City Manager Wes Hare (was) for reminding voters last fall that an election was taking place.” This is just flat out wrong. They agency did NOT fine Wes for “reminding voters” – the agency fined Wes for not disclosing pertinent information that was required by law. Whether or not you clear up that statement later on in the article is of little importance; you’ve already set the stage for your agenda in the first paragraph using this kind of colored rhetoric. Depsite the facts of the case, despite the judge’s findings, despite common sense, your inability to cover this subject in an unbiased way is truely incredible. Realizing this is nothing more than a blog, I would still expect a person with your years of service to make an honest effort at covering a story without being so one-sided. Everybody seems to miss the point that Wes Hare is paid to know better. You are correct. He is paid to know better. Well, it certainly occurred to others that Hare was in violation. Any sixth-grader reading the manual on electioneering would understand the requirement to be balanced in press releases. But it “never occurred” to our highly paid city manager? Unbelievable.